-May remain in booster seat if allowed by manufacturer’s weight limit. -Is appropriate for your child’s age and weight. -Meets Canadian Motor Vehicle Safety Standards. -Look for the CMVSS label on the seat. -Fits your vehicle and can be installed correctly. -Is easy to use. Look for a child car seat with a harness that tightens and loosens from the front and has an easy-to-use tether strap. 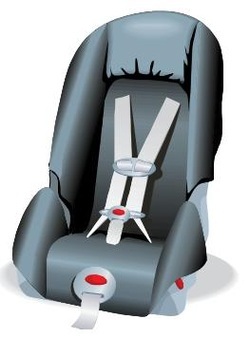 All child car seats must be used according to manufacturer’s instructions and vehicle owner’s manual. Child car seats purchased outside Canada are not approved for use in British Columbia. Learn how to keep your child safe in the car.